Visit the last remaining White Star Line vessel in the world. 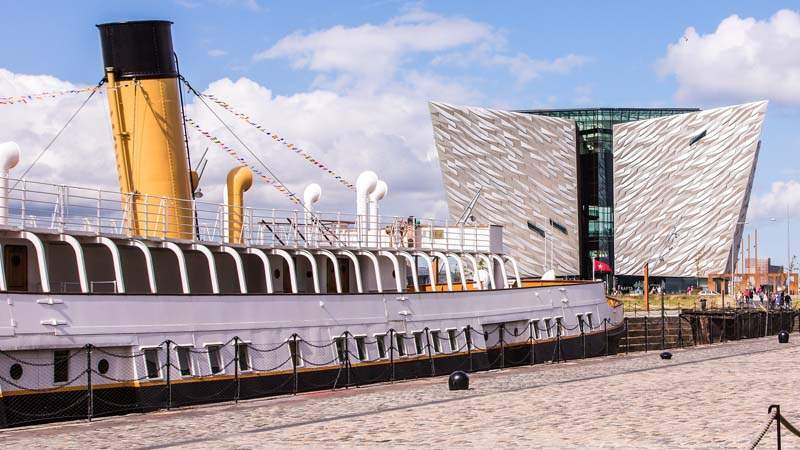 Restored to her original 1911 glory and back home in Belfast, a visit to SS Nomadic & Hamilton Dock combines the authentic heritage and atmosphere of this historic ship with the intriguing stories of her passengers and the ups and downs of her dramatic career. Find out more about the history of the great ship over on the Nomadic Belfast website, or get your tickets now to experience over 100 years of authentic maritime and social history on-board SS Nomadic - now part of the Titanic Experience!